Let’s start with an exercise. Open a second tab on your browser, go to google, and type the words women’s ministry. Then click the ‘image’ tab. Welcome to the great Pink Sea, only to be rivaled by Julia Robert’s blush-and-bashful wedding in Pretty Woman. Take a few minutes to sail down your screen. Notice the monochromatic backgrounds, headlines, and lettering. Did you catch all those hearts? What about the abundance of gerbera daisies? And the butterflies you’d find in a Disney sticker book? Oh, and the rose-shaded cross! Dotting this sea are a few pictures of actual women. They’re usually huddled together holding mugs, holding hands along a sunset backdrop, or holding the Bible and laughing. I’m surprised to see a fair amount of racial and ethnic diversity in these pictures, but that’s where the diversity ends. All the women in these photos are clean, well-groomed, and they match in an eerie way. They’re all smiling big, happy smiles. As a pastor, and particularly in my role as a pastor to women in a large congregation, I look at these “women’s ministry” images and scratch my head. How do these monochromatic designs represent the curious and sincere, struggling yet resolved, broken-but-being-restored disciples that I see around me each day? I wonder too, how these images shape perceptions about ministry to women. Will a visitor to our websites see these banners, logos, and photos in all their pink smiling glory, and think — there’s the place for me!? Or will she feel (again) the need to be a certain type of woman, or to have it all together? More importantly, how do these images shape perceptions about the ministry of women. Might these hearts and flowers water-down the vibrant gift that women are to the church? Might the Pink Sea limit our vision for the powerful impact that women have in the churches and communities across the globe? Be honest. When you think of “women’s ministry,” do you imagine pastel fluff, or do you see something more dynamic? As a pastor to women, these are the questions and concerns that constantly rattle around inside me. This keeps me up at night praying for wisdom. It keeps me thinking strategically and planning creatively. I take my job very seriously because women’s ministry is not fluff. In my world, women’s ministry is something substantive and strong. It’s something that brims with the power to transform. Fundamentally, women’s ministry it’s about people who need God. Yes, the people I minister to happen to be female, but they may or may not like pink, or chocolate, or flowers. The women in our churches have lives of significance. They have demanding careers, complex relationships, and varied hobbies. They suffer loss and experience pain. They wrestle with big questions. They doubt. They accomplish great things. They fall down and crawl toward hope. I know that God that can lift up the weary. God has the power to heal the broken. His Word is life and light to the doubting and confused. God is what women need. And my job as a pastor is to hang a neon sign above his inn and welcome every traveler. And yes, we women might gather around a table with mugs of coffee and a pretty centerpiece, but we’re there to talk about real life — the sting of a friend’s betrayal, the excitement of love, the pain of miscarriage or divorce, the fear of failure, and the challenges and joy of leadership in its many forms. So for every picture you see on the internet of women smiling or laughing, you should also imagine them focused and serious, mopping up the tears and coffee they spilled when they shared about a new loss. Ministry to women should unleash the power of God’s good news in a disheartening world. It should be about truth telling, authenticity, hospitality, and healing. Whether the venue is decorated or bare, women should able to come as they are, to tell their stories, to encounter God and learn from his Word. The women I see in the church are far more complex and varied than the images and shades stereotypically assigned to them. The women I know are smart, capable, inquisitive, and intelligent. They are leaders and entrepreneurs, inventors and teachers, artists and engineers, managers and students. Some are rich and others poor. Some dress to impress, others wear only what is comfortable, and a few come to us in musty, tattered clothes because that’s what they have. All of these women come to the church looking for a place to belong. They stay because they discover that God is the source and sustainer of life. I want women’s ministry to be so dynamic that it welcomes a CEO and a recovering addict, a stay-at-home mom and a pediatrician, an ivy-league professor and a woman with a GED. I want a ministry that makes room for mess. A place that’s a refuge from the grind of comparison that we women put ourselves through. A place where a woman wearing pink heels and red lipstick sits beside a woman with black combat boots and a bad dye-job, and sees a friend. Bottom line? I just want women’s ministry to bring women together and point them to God. And then we get to stand back and watch God do BIG things, like forgive sin — and free women from addiction or perfectionism — and teach them to live as beloved and fully empowered disciples. Pink daisies are not the centerpiece of this ministry. God’s power is. Some women are like cheerful, pastel blooms. 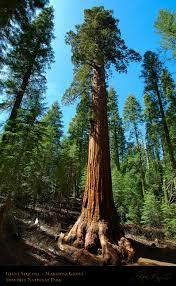 Others are the rustic sequoias along the coast, beacons of strength and longevity. 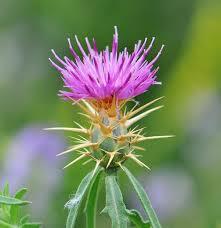 Women can be as regal as orchids, but also hearty and self-protective like thistles. 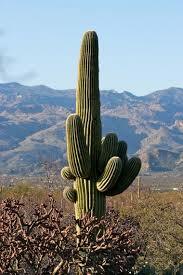 Through struggle, women learn to be resourceful like saguaros, filling themselves with life and storing it for a coming drought. 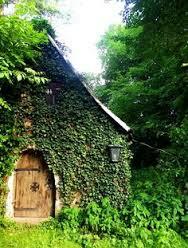 Some women are like ivy, holding up a crumbling house. Women simply cannot be confined to one color, or one landscape, or one design. Thank God for that — it makes ministry much more fun. I grew up in an evangelical denomination that limited its female members to a narrow list of roles in congregational life. Women could run the community preschool, oversee and teach Sunday school, VBS and Awana, and organize potlucks and special events. Don’t get me wrong, these are all important ways to serve, but when I left for college and joined a different denomination, I began to see my heritage through a different lens. I wondered, were these few roles fulfilling to all women? Was every woman able to use her spiritual gifts? (And for that matter, was anyone encouraging the women to discover and use their spiritual gifts?) How many of the women realized that their gifts were better suited to roles other than the nurturing and teaching of children or event planning? And how did those women handle the tension between their gifts and the roles they were allowed to fill? During the 9 to 5, the women I looked up to were nurses, bank VPs, teachers, attorneys, artists, sales reps and accountants. They were devoted followers of Christ, competent and respected leaders in the community and corporate world, educated, well-spoken, talented and creative, yet at church they were not permitted to lead any part of the worship service, serve communion, usher, receive the tithes and offerings or speak in any way from the stage or pulpit. The only exception was during our biannual missionary week when one of our many female missionaries would testify from the pulpit about the ministry she was doing abroad. No one ever spoke about the great contradiction we embodied by commissioning women missionaries to lead abroad even as we limited the mission of the women in our local churches. The truth is that God calls women to a wide array of roles in the church and the world, roles that include, but are not limited to, the teaching of children and fellowship ministries. Many of us can testify that the Spirit has sent gifted women to competently and wisely lead our churches. And few of us would dispute that all Christians are equally charged to carry out the great commission. While not all women will be called to be pastors, every woman in our churches should regularly hear of her worth as a child of God and disciple of Christ. I believe that it’s the responsibility of pastors, elders and lay-leaders to ensure that the women and girls in our congregations are seen, valued and heard, nurtured in their gifts and call, and given opportunities to serve among us as their gifts direct – all to the glory of God. To our detriment, this does not always happen in our churches. If you are looking for ways to encourage and better integrate women in the life and leadership of your congregation, here’s a shortlist of ideas. Connect to the heritage of women – You’ll only value the gifts of women more when you tap into the rich history of our contributions to the life of the church. Check out any number of church history books, but especially those from your own tradition that catalog prominent women in your history. In the ECC, we have this great book called The Unfolding Mystery of Yes: Women Who Were Forces for Change from www.covbooks.com. I’ve used many of these inspiring biographies as sermon illustrations and to frame meetings and events. Make women visible to your congregation – Sometimes a girl’s vision for her future is limited by what she sees. Churches can make a big impact on the lives of women by making sure the contribution of women is visible and affirmed. Did a woman do something significant behind the scenes? Thank her from the pulpit. During your services, invite women to share their testimonies, read the weekly scripture, lead communion or prayer, or give the benediction. Create mentorship pathways for girls and young women in your congregation – I’ve noticed that mentoring happens more naturally for males in the church because so many youth pastors and youth leaders are male. We must be intentional and strategic about coming alongside our girls and young women. How can we nurture their faith and help them discern their spiritual gifts and their unique call to live out the great commission? Whatever your discipleship strategy or system, there’s a vast amount of research and history that tells us that women grow best in relationship. Diversify your staff – For many churches, staff is one man or a group of men. Both your staff and your congregation would be enriched if you added a woman to your staff. If you anticipate a staff opening, expansion or reorganization, why not pursue one of the many gifted, competent, experienced and educated women clergy actively seeking positions in your denomination? Ask a woman to fill your pulpit – Every pastor takes the occasional vacation and needs someone to preach in their absence. Recruit a gifted lay-woman from your congregation, a female colleague, or a woman pastor from a neighboring church. My denomination provides a list of women available for pulpit supply: http://www.covchurch.org/resources/bge-preaching-list/. If your denomination doesn’t, maybe you can get one started! Supervise your staff consistently – As an advocate for women clergy, I hear many stories of struggle from my sisters. I know of churches that pay their male and female pastors differently even when responsibilities, education, experience level and hours are equal. Some male senior pastors weekly meet one on one with their male staff, but inconsistently meet with their female staff. I’ve had male supervisors call me “sweetie” while they addressed my male colleagues by their names or by “pastor.” While you may believe that women and men are equally called and gifted as pastors, you should also treat us as equals and as professionals. There may be ways in which bias has leaked into your practice as a supervisor. Noticing inconsistent habits is an important step in living and leading justly. I’m sure there are many more ways to encourage and empower the women in our churches. I look forward to seeing your suggestions in the comments section! Next Saturday I will be Ordained to Word and Sacrament by the Evangelical Covenant Church. This is an event for which I’ve hoped, worked, prayed and prepared for years. As I’ve shared my news with family and friends, a few have asked why a pastor needs to be ordained and why I am choosing to do so. These are good questions and I want to write my answers here so that you may understand why this is so important to me. While many pastors talk about ordination as the natural result of spiritual gifting and call, I think that identity – one’s personal story and its intersection with God’s story – is fundamental to the journey toward ordination. So here are some snapshots of my story. I was raised by two parents who had such genuine love of God that it naturally flowed into our family life. God’s love was clearly explained to me. I was taught about the love and sacrifice of Jesus each week – and I cherished those lessons – but there was a sense in which I didn’t need to be taught. I already knew. As my friend Meg likes to say, I knew in my knower. I knew that God was real, that God loved me and that my life was, and would always be, full of meaning and purpose. At a very young age I felt what I can only call the joy of the Lord. I wouldn’t have said that exactly at age five, but I knew it deep within. I always felt like my joy would someday burst through my chest like rays of sunshine break through clouds. Things were not always so light for me. From sixth through eighth grade, I was abused by a group of boys at school. I don’t share the details of those experiences with many because some have minimized what happened to me and that is almost as painful as the abuse itself. I’ll simply say that what I experienced those three years had a profound impact on my soul. I constantly received mixed messages about my worth. Filtering for the truth and battling the lies left me emotionally exhausted. Loneliness became a physical force leeching much of the joy out of me. I withdrew socially, read a ton of books and hid my pain from everyone, even my family. But late at night in the quiet of my bedroom I would pour out my fear, my pain and my desperation to God. God was there with me. He met me in the pages of the Psalms where ancient people cried out against things that should not be. God sat with me in the dirt at the foot of the cross. God heard me and saw me when I felt like no one else did. God was with me every day doling out love and compassion and strength and by this grace, I got through and gradually healed. A few years ago I worked with a counselor who asked if I had an image that would represent my life for those years. Quickly, I pictured myself surrounded by huge piles of manure taller than any man and so stinky it would make you retch. But here’s the thing I’ve learned about manure – it’s the best fertilizer around. During my years of pain and loneliness, a tremendous root system of compassion was developing in me and God would use that for good. Corrie, this is what I have for you. Care for them. God’s call on my life was like a lightning bolt at midnight. It was suddenly clear; I knew it in my knower. And I panicked. At that point I was still mostly in denial of my past pain, so I thought I was inadequate to the task. Who was I to step in? What did I know about suffering? But God’s call was clear and I knew it would be scariest but best to obey, so I jumped in the muck with both feet. I sat with woman after woman and listened to her story. I offered the simplest of things – a silent, (outwardly) calm presence and words of support. There was no judgment, no trite sayings stretched from scripture, no platitudes, no easy answers. I was very clear about not having many, if any, answers, but I did have a ton of love to offer. That year I tapped into that deep root system of compassion God had grown in me. I also understood that this call to care for the suffering was not temporary; it was God’s call for my entire life, as well as my call to professional ministry. So I went on to pursue a Master of Divinity, gained mentored ministry experience and have expanded my skills and knowledge on a wide range of pastoral care topics. Over the past 14 years I’ve seen God do some pretty incredible stuff. God brought me to several people at just the right time so I could intervene and prevent suicide. God brings to me despairing people, desperate people, and those who are in so much pain they can’t even think straight. I don’t heal them – I can’t – but for many I am the first person who takes the time to listen well, to see them, to hear their pain, and to help them find a way back from the darkest places. It doesn’t seem to matter what my title or job description is; this is always the substance of my ministry. So how does this story lead to ordination? Certainly I don’t need to be ordained or even have the title pastor to live out this calling. But here’s what clinches it for me. Here’s why I’ve spent thousands of dollars over the past four years and why I’m flying thousands of miles from Hawaii to Chicago next week to speak the ordination vows – the church is a pain machine. Churches cause pain in their communities and across the globe through action and inaction. Pastors disappoint their parishioners and parishioners lash out at their pastors. Zealousness for truth or “right” theology has made us rigid and callous and we ostracize the people who so desperately need the good news that Jesus called us to proclaim. Sure, we Christians do a lot of important work in the world – we plant urban gardens, rescue women and children from sexual slavery, develop clean water projects, run soup kitchens and thrift stores – but even as we dig into these good works we aren’t loving or caring for each other well. The church is busy denying abuse and protecting abusers. Christians are in pain but we aren’t mature or courageous enough to lovingly confront the person or persons who hurt us. We’re fighting theology and worship wars and our main opponents are people within the church, our spiritual sisters and brothers! We’re letting bitterness cement walls between us. And even as we are embroiled in all of this terrible infighting, we scratch our heads and wonder why the church is shrinking in North America, why most denominations are splitting or dying, and why we’re accused of being hypocrites by those outside our walls. When I look around, I see a church that has sacrificed the greatest commandment for the great commission. The church has a wellness problem. Our attempts at loving neighbor and self are diseased and dysfunctional at best. This is where I hope to intervene as both a person and a pastor. Because of my experiences of pain, because I experienced God’s love and healing through the church and because, though imperfect, the church still expands my love for God, I won’t give up on the church. Instead, I’m choosing to take vows to lead and serve it well. The church needs all kinds of pastors. I want to be the kind of pastor who tries to right the balance between our expression of the greatest commandment and the great commission. I absolutely want churches and Christians to be biblically literate and intentionally missional in their communities, but first I really, really want them to know God’s love intimately – a love that shatters abuse, overcomes shame, and brings joy to the frayed human spirit. I want churches and Christians to feed and hydrate themselves with this love until it heals and matures us to the point that we can wisely and widely extend love and shalom to our neighbors. I want the church to be known as a healing machine rather than a pain machine. I want the church to be praised as a place for grace seekers and grace givers, a safe place for the suffering to gather and find rest and renewal. I want the church to be a place that values emotional maturity as much as (but preferably more than) it does attendance numbers, small groups programming and pleasing music. This is what I’m about as a person and it is what I hope for the church as a pastor. Next Saturday, along with 66 other women and men, I will take a series of vows and commit my life to the service and leadership of the church. I don’t know how most pastors feel as they approach their ordination day. I am humbled by the honor and responsibility it is to be called and gifted to lead the church. I feel both inadequate and empowered. After all, I’m just me, a woman with a story. A woman who loves God and cares for the church and thinks the world desperately needs the hope we can give. A woman who knows that I can only be a pastor through the power and guidance of the Holy Spirit. I’m also a woman who knows that the support of family, friends, churches and even a denomination will be vital to my health and longevity as a pastor. So I ask you to pray for me this week just as you would for a loved one approaching her wedding day. In the days and years to come I will need your affirmation and accountability like I need food and water. My sincere thanks to each of you who have shepherded me to this day – to El Roi, the God who sees, to my parents and extended family, my mentors, professors, pastors, counselors, confidantes, elders, and especially my soul-sisters – you know who you are. I’ve been actively seeking a full-time pastoral position for three years. I regularly peruse employment sites like ChurchStaffing.com and Indeed.com. Over the last several years I’ve read several hundred job descriptions. I’ve applied to approximately 100 ministry positions in various Christian denominations in the US and Canada. Along the way I’ve been shocked, puzzled, frustrated and downright angered at some of the stuff I’ve seen and experienced. So I’ve compiled a list of what I believe are problematic church hiring practices. Some of these problems relate to process, others to professionalism and some even expose prejudicial or discriminatory practices. I’ll tackle the problems in each of these three categories but I realize that many of these problems straddle the boundaries between categories. For each problem, I’ll offer at least one alternative practice that may enhance or safeguard the hiring process for both churches and their pastoral candidates. We’ve all heard stories of clergy who have violated sexual or ethical boundaries. This has led to firing of pastors, the destruction of marriages and families, the division and splitting of church bodies and irreparable damage to denominational reputations. You’d expect hiring committees and churches to be very concerned about the character of the pastor they will hire to lead their congregations. However, I’ve discovered that churches are far more concerned that they hire people with proven experience. Other than questions about my faith testimony, I have never been asked a question that would reveal the smooth or rough edges of my character. Instead, I’ve been asked 15 different ways about my work experience, how I would accomplish specific tasks, how I have successfully recruited volunteers, what strategies I’ve used to train leaders, etc. Maybe it’s just me, but I think once you’ve discovered that a candidate is a competent and promising employee, you’d spend the bulk of your time getting at a pastor’s character. It makes me very uncomfortable to think that churches nationwide are hiring the best managers, recruiters and event planners they can find, but a pastor’s character, moral compass and ethical decision-making skills are of lesser concern. I know this is probably not the intent of churches, but their processes and questions tell a different and frightening story. Alternative Practice: Make sure your committee spends as much time developing and asking character-based questions as you do experience-based questions. Make state and federal background checks standard practice for every candidate. Call references early in your process to ask questions about the candidate’s character and verify claims made on the candidate’s resume. Push references to give critical feedback of the candidate and if they only give glowing reports, consider asking the candidate for a few more people you can call. These days the budget belt is cinched tight for many churches, so combo pastoral positions are popping up all over. The idea is that a church really needs two pastors for two very different positions but they can only afford to hire one person so they combine the two. I’ve seen a lot of positions that combine worship and missions, worship and youth, youth and young adult, children and youth, outreach and discipleship. The problem with these combo positions is that they often require one person to have a broader-than-humanly-possible skill-set, knowledge base, and spiritual gifts. For example, the popular combo “pastor of youth and young adults” is downright crazy to me. 13-17 year olds have vastly different developmental needs and abilities than 18-22 year old. Why are we asking a pastor to shepherd groups with such wildly different needs? Why do we expect that one person has equal love of, call to serve, or passion for such different demographics? The same principle can be applied to many of the combo positions out there. Are we forcing pastors to compromise their passions and true calling so we can meet all of our ministry needs with one salary? When we offer these combo positions, how are we forcing pastors to give less than their best? How are we short-changing the receivers of ministry when pastors are over-extended and drained by work that doesn’t flow out of their gifting? Alternative Practice: If you have two ministries that need oversight and pastoral presence but you don’t have the budget to hire two pastors, ask yourself it is possible to find and train competent and gifted lay-leaders from within your own congregation. Perhaps the Young Adult Pastor could supervise and encourage a team of passionate and competent lay youth leaders without being expected to actually juggle two full-time pastoral roles in one week under one salary. How often do we gather ministry committees made up of the 20%, those ever-willing, highly involved and available church members, rather than committees that actually reflect the diversity, values and demographics of our congregations? Too often. The same trend applies among pastoral hiring committees. The problem with homogenous search committees is that they may fail to ask a breadth of questions that target the various needs of the congregants the pastor will be serving. Alternative Practice: Take the time to study the diversity, demographics and values in your church. Then build of the commitment of varied ages/generations, appropriate gender ratios, race and ethnicities that reflect the congregation, as well as persons that speak for the ministries at the core of the church’s identity or the job description.